When a company is open and operating, it has a set of guidelines that it must follow in order to remain legal and ethical in the market. This set of guidelines are known as a company’s due diligence. Without practicing due diligence, a company can be hit with a lawsuit. Hiring a Riverside County licensed investigator to ensure due diligence is being met could be highly beneficial to both consumers and business owners alike. It might be difficult to understand exactly what it means for a company to practice due diligence. However, the concept it pretty simple. Due diligence applies to either a business or an individual. Most of the time, consumers and business partners wish for due diligence to be met before any contracts are signed and prior to either party becoming legally responsible for an entry. What Is Investigated during a Due Diligence Investigation? These details can be explored by a Riverside County licensed investigator to determine how a company or individual does business with clients. This information can help you decide whether or not to commit to signing a contract with them. 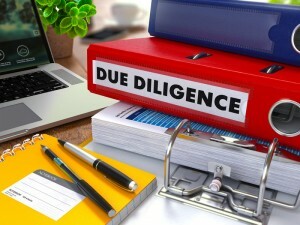 Why Is a Due Diligence Investigation So Important? It is vital that you understand the importance of a due diligence investigation that is led by a highly trained investigator. Due diligence is something that should be checked before a merger takes place or prior to any company being purchased. It is designed to ensure that all liabilities are in plain sight so that there are no unpleasant surprises later on. Those who are engaged in any sort of business or who plan on taking risks by merging or acquiring a new entity are encouraged to have a Riverside County licensed investigator perform a due diligence investigation on their behalf. Get the most comprehensive picture of the other party before signing anything. Allow a due diligence investigation to keep you safe and secure both now and in the future. What Takes Place during a Routine Due Diligence Investigation? Most of the time, a Riverside County licensed investigator will approach a due diligence investigation in the same manner. However, the way in which the investigation is conducted will depend heavily on the details uncovered. Generally, the Riverside County licensed investigator you choose will utilize tools such as forensics, background checks, surveillance, asset searches to get to the bottom of the issue. There will be some instances where the investigator might need to look through public records or speak with clients of the company. A good Riverside County licensed investigator might also take the investigation overseas, if it is necessary to gather all the details. Either way, a due diligence investigation can spell the difference between success and failure when it comes to your risky business ventures. For more information on having a due diligence investigation conducted on your behalf, or to hire a Riverside County licensed investigator immediately, call (951) 344-6306. We provide you with a free initial consultation and price quote for our services.